Candles have always been special to me. Growing up, my grandmother was my favorite person in the world, and I visited her house every second I could. Her house always smelled lovely, and she always had a great candle burning in the family room. There was a local candle and gift shop that we visited frequently, it was our special place. Every visit, I would get a new candle for my collection, and together we tried out every scent the shop had to offer! I have now carried my love of candles with me into my adult life. There is something so comforting about the glow and scent of a good candle. 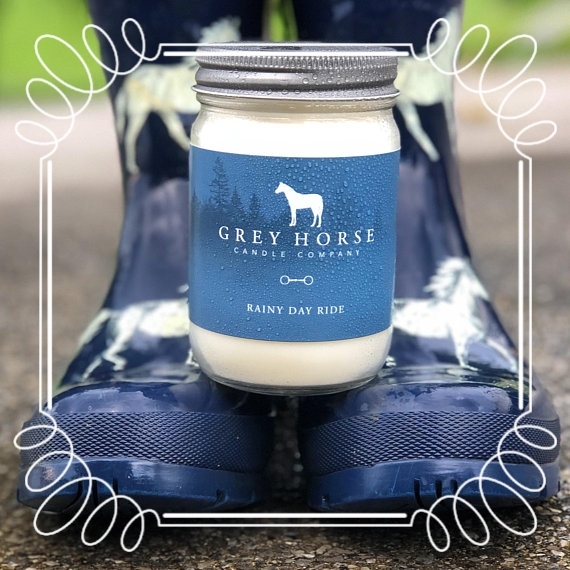 Grey Horse Candle Company started as a project to make candles for Christmas gifts for my close friends and family. It wasn't but a few weeks after the first candles were made, people who saw and smelled my gifted candles were asking to buy some of their own. The demand grew more, so I decided to try my candles out at a small local craft fair. I took 50 candles with me and sold out within the first two hours of the fair, coming home with a waiting list for more! After much trial and error, I finally figured out what I think is the recipe for the perfect candle, and have decided to share my passion with the rest of the world through my ETSY shop! 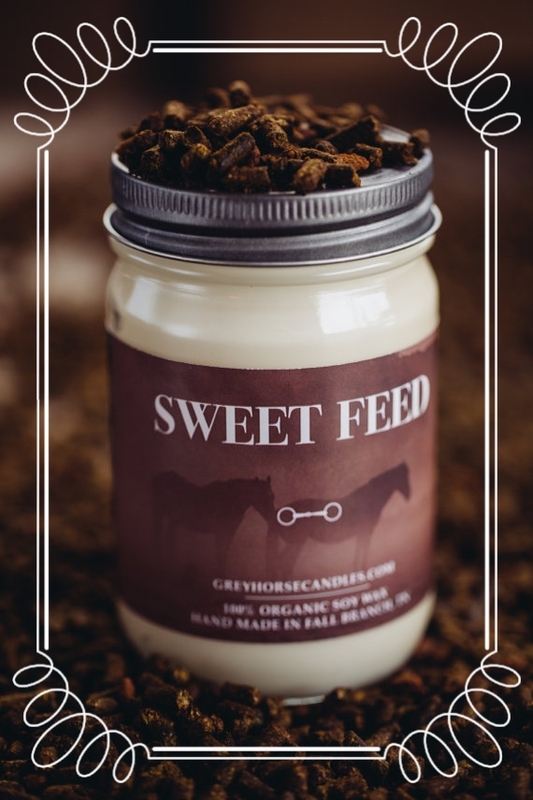 I know you will love Grey Horse Candles. 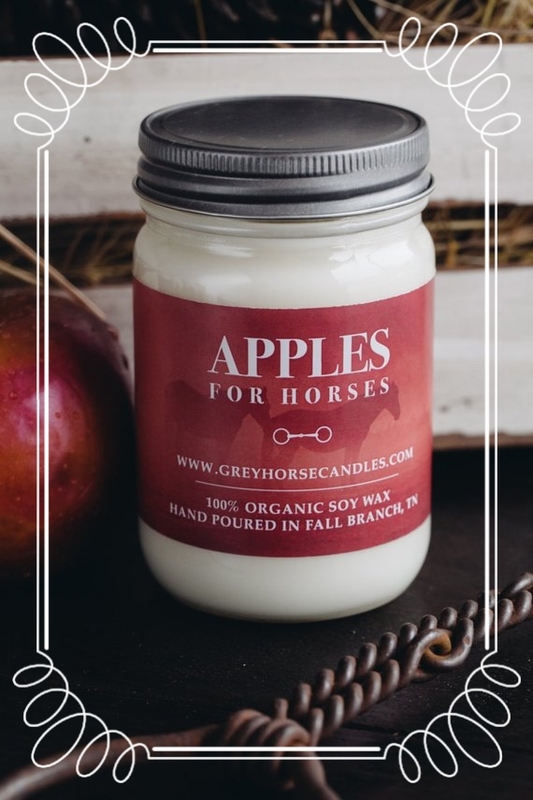 I hope you will try one and let my candles bring a little horsey love into your home! Kayla Stacy. Resides in the tiny southern town of Fall Branch, Tennessee with her husband, Andy, along with a zoo of 3 dogs and 2 horses, 2 goats and a cat. She studied Photography at Virginia Intermont College in Bristol, Virginia and graduated in 2012 with a Bachelor's of Art. They are full time wedding photographers, and owners of Andrew & Erin Photography! When they are not photographing weddings or making candles, she can almost always be found at the barn! She is a big fan of bluegrass music, interior design and decorating, and sweet iced tea! she also has an unhealthy obsession with horses and (unfortunately for her husband) could talk about them all day long!